The word “noise” comes from the Latin for “nausea,” and in a sense both words dominate this formerly-indie-rock trio’s new studio album. I say formerly because, from Double Negative’s first moments, with a repetitive wall of throbbing electronic distortion, audiences can tell the band has made a clear change toward the avant-garde. 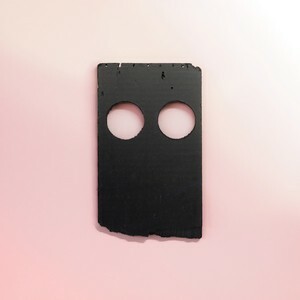 Low’s new album would come as a surprise from any band, but especially from one celebrating its 25th anniversary, and one coming from a band credited as laying the groundwork for the “slowcore” genre. Since their inception, Low has released numerous albums of gloomy, minimal indie rock. Double Negative, however, offers almost no rock sounds at all; the vast ambient soundscapes, the warped and glitched vocals, and the industrial rhythms strip away all identity. Take the track “Tempest” for instance, where frontman Alan Sparhawk’s vocals are distorted such that they barely retain any human sound, much less recognizable words. Many songs have this quality, where the band uselessly attempts to scream over the blistering swells of noise, like trying to outrun an ever-closer monster in a dream. This is not to say Low leaves no room for relief. Many tracks contain interludes where frontwoman Mimi Parker’s soft voice sweeps over icy piano keys before being swallowed up again. The track “Dancing and Fire” offers the most respite in the album’s bleak landscape, with post-rock guitar strumming shining like the sun after a deluge. For such an overt album, it appears to only be this way in form, not in function. Because while track for track it can feel darkly overwhelming, it is, at least according to the band, a deeply political album. The ominous and surreal compositions on Double Negative were inspired by the Trump presidency, and when the lyrics are intelligible, they occasionally speak of war, confusion and longing. As Sparhawk puts it, “You don't know what you're even fighting for”. Fans of Portishead might notice some similarities to the album Third. In that the band completely changes their sound into a more difficult and cryptic direction, trying the audience’s patience with moments of outright drone and experimentation. It is dense, but it is gorgeous. For a synecdoche of the entire album, listen to the middle stretch of “Dancing and Blood”. Sparhawk’s and Parker’s voices give way to a cold, lonely guitar dissolving into digital artifacts, all the while a martial drumbeat steadily thumps along in the background, accompanied by electronic hisses. This dissonant, sombre, and hypnotic album is like being crushed to death by a beautiful glacier. Double Negative was released by Sub Pop Records on Sept. 14.